Members of the Oak Ridge Environmental Peace Alliance today releases photos showing that, four and a half months after the July 28, 2012, incursion by the Transform Now Plowshares peace activists, the person-sized hole they made in the perimeter fence at the Y12 Nuclear Weapons Complex in Oak Ridge, TN, has not yet been repaired. On Tuesday, December 11, 2012, lawyers for the defense were taken on a tour of the Y12 facility to view firsthand the location of the entrance and subsequent activities of the peace activists who entered the Y12 facility to call attention to the criminality of ongoing nuclear weapons production activities at Y12, activities which contradict the legal obligation of the United States, codified in the Nuclear Nonproliferation Treaty, to pursue nuclear disarmament. 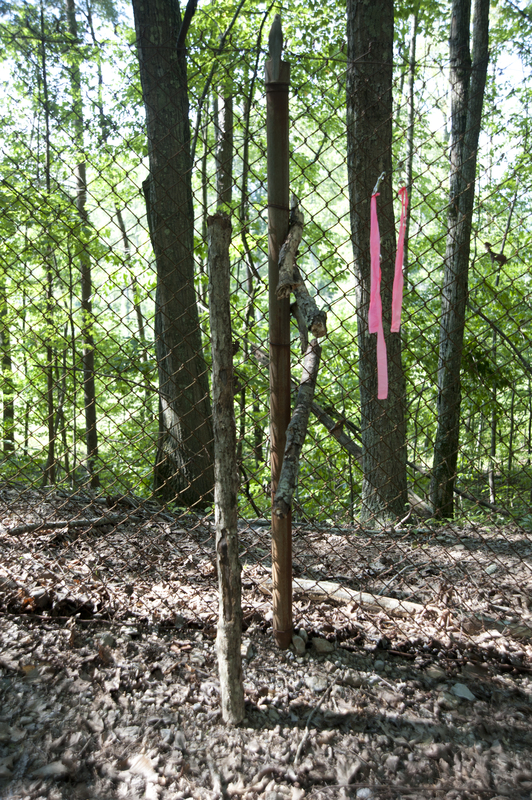 The lawyers were shown a spot in the perimeter fence, marked with three carabiners from which red ribbons were hung, and a trail leading up the ridge through the woods, also marked with red plastic ribbon. 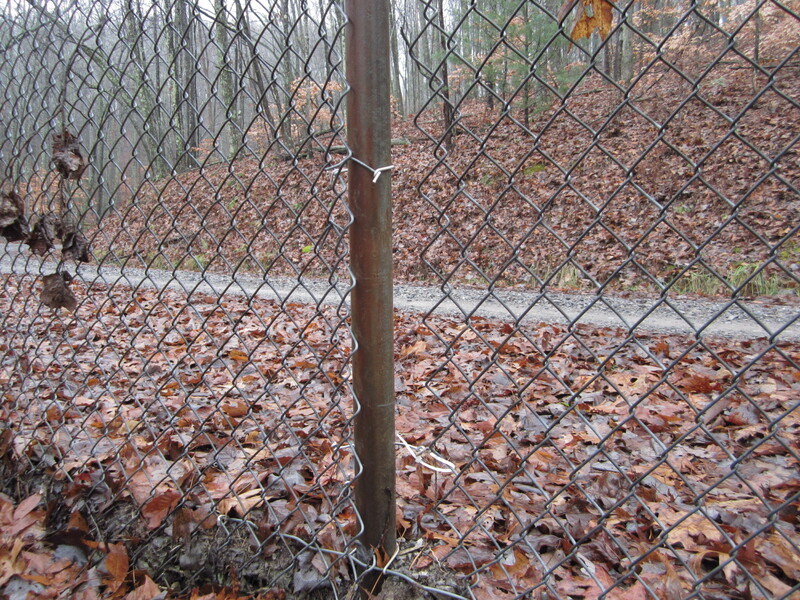 On Monday, December 17, 2012, two OREPA members traveled to the Y12 site and approached the perimeter fence and, after walking for fifteen minutes, came to the actual point of entry where the chain link fence was open from the ground to a point about four feet high. A white plastic cable tie hung conspicuously from the fence; it was a tie the peace activists had attempted to use to close the whole behind them. On Wednesday, December 19, 2012, OREPA’s coordinator met with counsel for the defense to compare notes and confirmed that 1) the point of access identified by the government was not, in fact, the entry point of the Plowshares activists; and 2) the entry point was not yet repaired and the breach in the fence remained. Francis Lloyd, counsel for Sister Megan Rice, immediately drafted a letter to be delivered to the prosecution and the court to alert them to the ongoing vunerability. “But a greater concern is what this says about the capacity of B&W Y12 and the National Nuclear Security Administration to do their job,” Hutchison continued. “Since July 28, the public has heard assurances from the Secretary of Energy on down that the Plowshares action was a wake-up call, that security lapses were intolerable, that attention to detail was paramount, that all steps were being taken to address the lessons learned—and yet the hole in the fence had not been discovered, nor had it been repaired. There is no excuse. None. “We also have been working to make the structural and cultural changes required to ensure the security of this facility and throughout our entire complex. “While we’re confident that these aggressive actions have enhanced security at Y-12, we will leave no stone unturned to find out what went wrong and will take any step necessary to ensure security at this site and across our enterprise. “The July 28 event brought to light gaps in our maintenance and security operations, and we are using it as a catalyst for a comprehensive and objective examination of all our operations. As a result, a series of extent-of-condition reviews are ongoing throughout Y‑12. Specific to our show cause response, we believe we have demonstrated a compelling case for NNSA to continue our contract. “Over the course of the past six weeks, B&W Y‑12 has implemented significant corrective actions. All critical security system elements have been restored to service; security cameras have been repaired, adjusted and performance tested; and security-related maintenance must now be performed on critical system elements within 24 hours of an identified problem. The WSI-Oak Ridge Protective Force has been extensively retrained and performance tested. The testing was also integrated with security systems performance testing. Through multiple corrective measures, daily site-wide alarms have been significantly reduced and Protective Force alarm responses have improved. This incursion and the poor response to it demonstrated a deeply flawed execution of security procedures at Y-12. In response to the incident, we acted swiftly to identify and address the problems it revealed. • HSS was directed to lead near-term assessments of all Category I sites to identify any systemic issues, enhancing Independent Oversight performance testing program to incorporate no-notice or short notice security testing, and conducting comprehensive Independent Oversight security inspections at all Category I sites over the next 12 months, using the enhanced program of performance testing. • The series of personnel and management changes I have just described were made to provide the highest level of security at the site and across the DOE complex. To manage this transition, we have brought some of the best security experts from our enterprise to Y-12 to act quickly to redress the security shortcomings at the site. We are also working to make the structural and cultural changes required to appropriately secure this facility. The Secretary and I intend to send a clear message: lapses in security will not be tolerated. We will leave no stone unturned to find out what went wrong and will take the steps necessary to provide effective security at this site and across our enterprise. In conclusion, the security of our Nation’s nuclear material is a central responsibility of the Department. We must always remain vigilant against error and complacency and have zero tolerance for security breaches at our Nation’s most sensitive nuclear facilities. The incident at Y-12 was unacceptable, and it served as an important wake-up call for our entire complex. As a result, NNSA will use this event to review the security at all of our NNSA sites. The Department is taking aggressive actions to ensure the reliability of our nuclear security programs, and will continue to do so. Especially important in light of the purpose of today’s hearing, contractor governance and Federal oversight failed to identify and correct early indicators of the breakdowns. 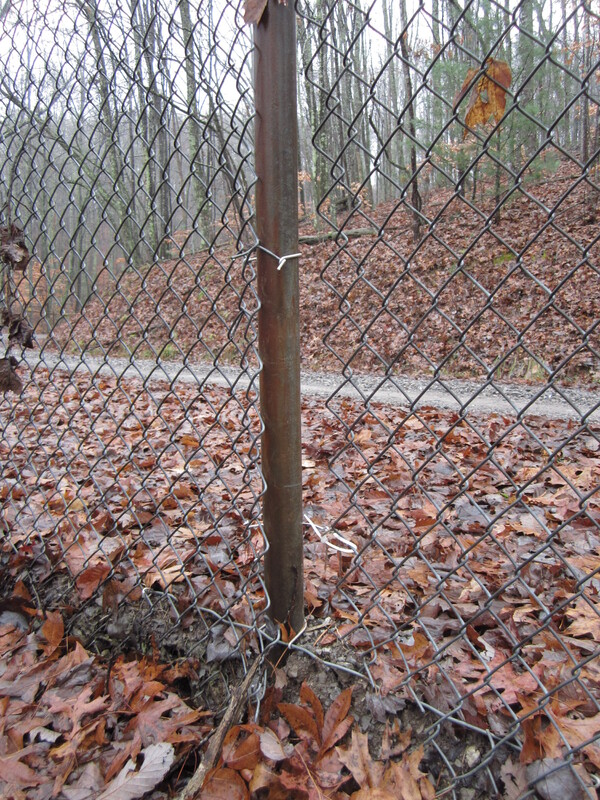 These issues directly contributed to an atmosphere in which trespassers could gain access to the protected security area directly adjacent to one of the Nation’s most critically important and highly secured weapons-related facilities (Inquiry into the Security Breach at the National Nuclear Security Administration’s Y-12 National Security Complex, DOE/IG-0868, available at: http://energy.gov/sites/prod/files/IG- 0868_0.pdf). Jack McElroy, editor in chief of the Knoxville News Sentinel, cites Henry David Thoreau, Mahatma Gandhi and Martin Luther King Jr. in his criticism of the new charge of sabotage leveled against Sister Megan Rice, Michael Walli, and Greg Boertje-Obed. In the new indictment, filed by the assistant U.S. attorney on December 4th, Greg Boertje-Obed, Sister Megan Rice, and Michael Walli face a 20-year maximum charge for damage to national security defense materials under the sabotage act, along with two charges from the August indictment, for destruction of property and depredation of property. They face a possible total of 35 years in prison. Greg, Michael, and Sister Megan’s action peaceably pointed out the unlawful production and preparation of nuclear weapons at Y-12. The new charges have not deterred them in their continued call for transformation and common nuclear disarmament. Here is their response to the charges. Our consciences compelled us to act at Y-12 Oak Ridge nuclear facility because we knew that the nuclear weapons of mass destruction illegally produced there threaten the well-being of our entire planet. The government and Babcock and Wilcox [a contractor that manages the Y-12 nuclear weapons plant] know these weapons can only be used to inflict massive death and injury on people and on our planet. The Government threatened to charge us with the more serious crime of sabotage if we did not plead guilty. We chose to exercise our constitutional right to a jury trial and refused to bow down to their threats. So the government has added serious new charges which expose us to an additional twenty years in prison for our peacemaking actions. We remain convinced that making and refurbishing nuclear weapons at Y-12 is both illegal under US and international law and it is also immoral. Ultimately we are required to follow the law of love and our consciences. Our present activities include daily community prayer, study of the Nuremberg trials, and public education about the existence of illegal nuclear weapons of mass destruction. We look forward to presenting evidence to the jury of the truth, the whole truth and nothing but the truth about what goes on at Y-12. Frank Munger’s Atomic City Underground: indictment and response.